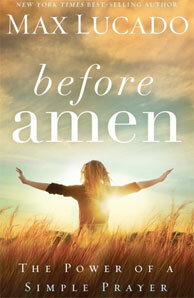 Proverbs 31 Ministries is offering a short study of Max Lucado’s new book on prayer. 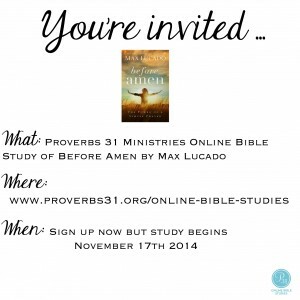 The study details can be found at the OBS (Online Bible Study) site. All you need is a book. And this time they are throwing in their special study conference calls for free. If you’re like me, you are always looking for something new on the topic of prayer. This probably won’t disappoint. 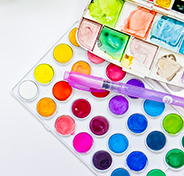 One of my goals with this blog is to make information available regarding online studies and resources. I’m a huge believer in seeing the Internet used for good, and a huge believer in Bible study. God’s Word and the study of it, is crucial to walking by faith. Perhaps this is your time to jump in? The days before Christmas could benefit from taking time to slow down and spend a few moments with Him and with other believers online. And…if you have participated, share your thoughts here!